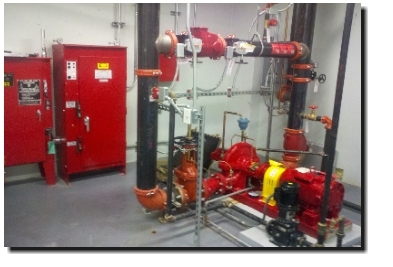 Commercial Services Provided by C&E Fire Protection - C&E Fire Protection, Inc.
C&E Fire Protection provides installation and service of all fire protection systems including wet, dry, pre-action and antifreeze. We use your architect drawings to design and install your fire sprinkler system in accordance with NFPA standards and your local fire prevention bureau. Due to code changes or insurance requirements, it may be necessary for your existing building to now require fire sprinklers. C&E Fire Protection helps you design your fire sprinkler system, allowing your building to be up to code with your local fire prevention bureau. Fire sprinklers are designed to existing conditions when first installed. When there are changes to those designs (walls moved, partitions added, building additions) the fire sprinkler system needs to be inspected and brought up to code. We will make sure your building meets those requirements. Although this doesn�t happen often, occasionally pipes freeze when heat has been turned off in buildings or pipes break during remodeling, etc. We can provide you with a quick response to help repair and/or replace your fire sprinkler system.